Homebru.net and Suip! proudly present the Best Beer on the Table Award. The idea behind this award is to give it to the best new beer in Western Cape every year. Since this is the first year for this exclusive award we will incorporate all new and old brands of beer. First I like to say that Eric Van Heerden at Triggerfish Brewing is doing a great job and is one of the best microbrewer in South Africa right now. This IPA has a beautiful clear red-amber colour with a medium high beige head that leaves some fine lacing along the side of the glass. The aroma is full of malt, bread and citrus fruit. The taste is well balanced and medium sweet and medium bitter. This is a damn nice IPA. Yet another beer from Triggerfish Brewing. This spiced variation of the Sweetlips blonde has a unique character. It is spiced with Buchu that add some nice orange and peppermint aromas to it. It has a clear light yellow colour with a high and creamy head. The taste is medium sweet but the Buchu gives that little extra to it. This is a beer spiced with finesse. 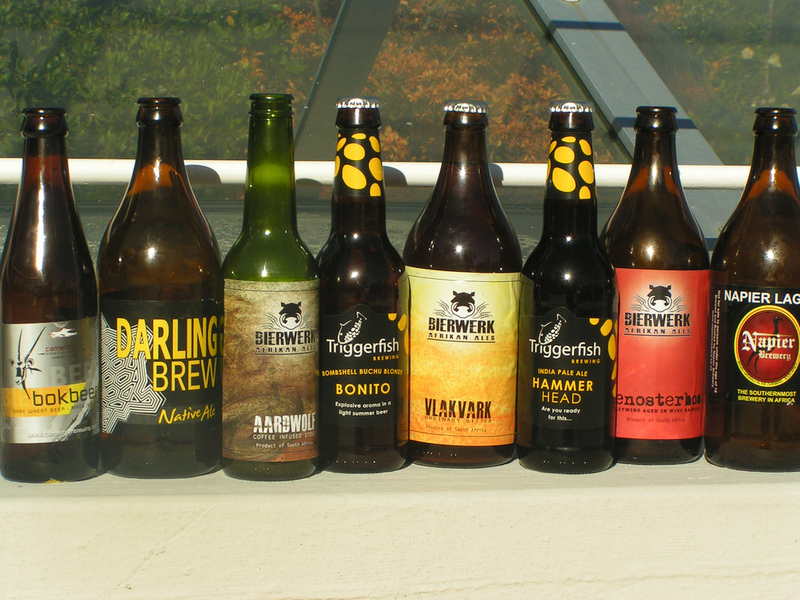 Christian Skovdal Andersen (Bierwerk) brewed three really good beers at Boston Breweries in Cape Town. This Barley Wine has been aged on Brettanomyces “infected” wine barrels for seven months. The beer is clear and red-brown in colour. It has a small, creamy, light brown head. The aroma is full of caramel, fruit and hops. The taste is heavy sweet and the texture is oily and creamy at the same time. Renosterbos feels fresh, light and smooth yet it is a complex, fruity and strong beer. This Barley Wine is going to be a classic one. I urge all to buy at least a few bottles and let them stay in a dark and cool place for a couple of years. Also check out the nominated beers from Suip! Keep your eyes open because on 13th January we are going to announce the winner.